In 1983, Sally Ride lifted the glass ceiling to the stars, becoming the first American woman in space — and the youngest American astronaut to travel in space, a distinction she still holds today. While the California native always loved science and math, her space flight may never have transpired had she not failed at her first love: tennis. Unable to make inroads in becoming a professional tennis player, Ride returned to science and applied to a space program after reading an advertisement for a space program in the Stanford newspaper. She joined NASA in 1978, and worked with the Challenger team. While Challenger mission commander Robert Crippen said he chose Ride because she was a “competent engineer who was cool under stress,” that didn’t spare her from press sexism. Before her first space flight, reporters asked her if the flight would “affect [her] reproductive organs,” and if she ever planned to become a mother. Ride wasn’t fazed. “I came into this because I wanted to fly in space,” she said at the time. And that she did. At the age of 32, Ride soared into the Milky Way with her Challenger crew, becoming the first female American astronaut to reach space (two Russian women made it there before her). She took her second flight to space the next year, once again on the Challenger. But that was the last time she would travel to space: Ride retired from NASA after coming back to Earth. Since then, Ride made it her goal to allow other young women to achieve similar firsts. In 2001, she founded Sally Ride Science, which creates programs encouraging young women to study the sciences. After Ride died of cancer in 2012, her obituary revealed that she had been in a relationship with professional tennis player Tam O’Shaughnessy for 27 years, making her NASA’s first known LGBTQ astronaut, too. 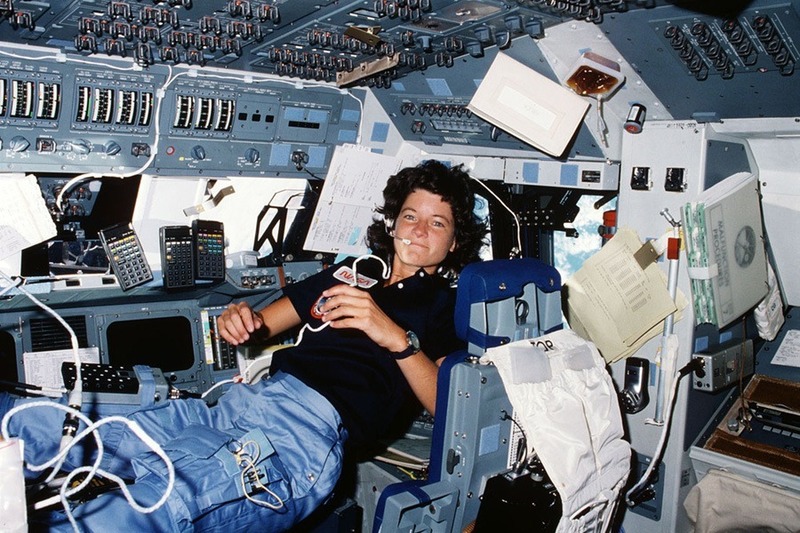 Sally Ride: the embodiment of #goals. Check out astronaut Andre Kuipers’ photos of Earth. Then, read about Polly Adler, one of the first female moguls.